Whatever type of area rugs you own, you'll find the rug cleaning experts at Palm Beach Oriental Rug Cleaning Pros to be fully qualified to handle your job. From Persian to Oriental and from handmade antique and heirloom gems to newer hand- and machine-made styles, your area rugs will be handled by our experienced technicians with the utmost care and skill. The professional area rug cleaning and other closely related services we offer in Hobe Sound, FL have been carefully developed to keep all your area rugs in top-notch condition, making them not only look better but last longer. 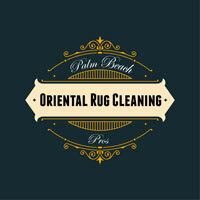 The most common rug cleaning method we employ at Palm Beach Oriental Rug Cleaning Pros is the hot water extraction (steam cleaning) method. This method deep-cleans your rugs and removes dirt and cleaning solution residues more effectively than other methods. For older or more delicate rugs, we sometimes recommend dry cleaning. 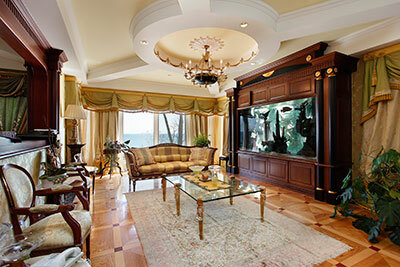 Whatever method we employ, you may be confident that our selection is based on a careful assessment of your rug. Our primary goal is your complete satisfaction. Our rug cleaning specialists will always take special care of your antique, handmade, specialty, or otherwise delicate area rugs. Rugs have always been a beautiful way to decorate our space. Most of us have different types of rugs that adorn our living rooms, our bedrooms, and other spaces in the house; we also see a lot of rugs add a charming look to office spaces. Rugs are used a lot, we stand on them, we play with our pets on them, we sit on them, we may even use them to sit on while having our meals or just while hanging out with friends…and sometimes our pets may use the rugs as their own space to relax on. With such rigorous use, these rugs begin to lose their bright and shiny look, they become dirty, and they get smelly, collect dust, tear from places and may even become affected by fungus. What could be worse is that most of the times the rugs we have are either family heirlooms or are quite expensive and throwing them away is just not an option. That is why it is important to get your rugs cleaned and repaired and what is more important is to get it done from a service that understands the importance of these rugs and treats them the way they should be…with care. At Palm Beach Oriental Rug Cleaning Pros, we provide with the best area rug repair solutions for your rug keeping in mind not to treat it with harsh chemicals that tend to take away the original look of the material and the fabric. 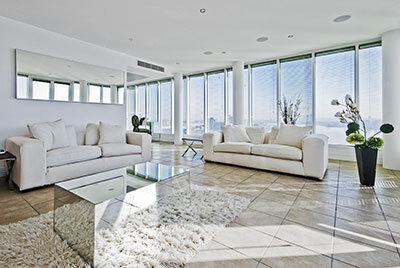 Our focus is to provide you with the best area rug cleaning services in Hobe Sound, FL. We promise you that you will be so happy with our excellent services that you won’t be able to find the repaired areas. That is why we offer you a quote before we begin the work, once you have given us a green signal is when we proceed…to give you that beautiful rug back. To make you even happier, we offer free pick up and delivery. So don't hesitate and call us today.